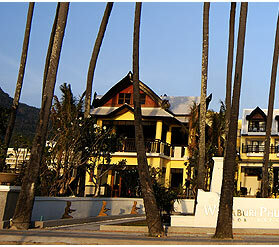 Woraburi Phuket Resort & Spa is situated in an idyllic location where guests will enjoy the feeling of content and delight. A giant Srivijaya Bell, considered to be the most beautiful symbol of the well known southern Thai hospitality sits on the lobby centrepiece. Within walking distance to the very famous Karon Beach, Woraburi Phuket Resort & Spa will offer its visitors a complete calm and peaceful atmosphere. 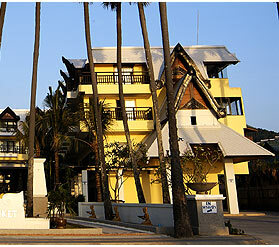 With a total of 207 rooms housed in three low-rise buildings designed in southern Thai architectural style, all the rooms have their own private balconies and are well designed to provide maximum personal comfort and relaxation. 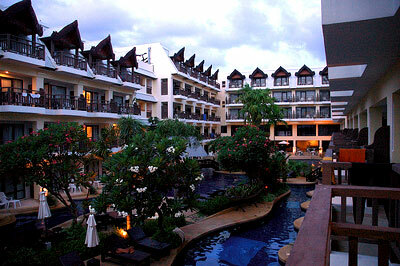 There is also a large swimming pool strategically located in the heart of the resort.